This is the first cookbook by Giada De Laurentiis that I have really looked at so I don't have any comparison to previous books. It was a lot larger book than I expected so be ready for many recipes! I really like the simple dishes, and the breakfast ideas. There are lots of pictures, which I love in a good cookbook, and she includes side notes on different topics. I guess the only thing for me is there really isn't anything in this cookbook that makes it stand out from all the rest. It's a good cookbook, but it is not much different from the hundreds of others I have looked at. 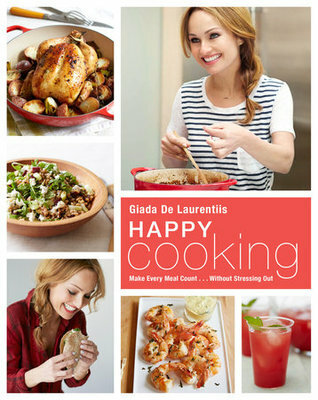 If you enjoy her cooking show, and Giada De Laurentiis in general, then you will love this book.